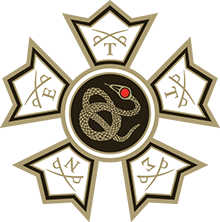 Becoming a Sigma Nu involves several months of education, bonding activities and events. Sigma Nu ensures a safe atmosphere for their candidates throughout the process and is committed to a zero-tolerance policy when it comes to hazing. We are looking for candidates that seek to embody the ideals of Sigma Nu and are committed to the ideal of Honor upon which our Fraternity was founded. Our chapter annually hosts a Super Bowl party as well as several cookouts to get to know potential rushes and hopes to make the process as welcoming and enjoyable as possible. Contact our Rush Chair or stop by the house at 37 High St. anytime to meet current brothers and see if Sigma Nu is right for you. In adherence with Yale University policies, all freshman candidates must wait until Spring 2014 to rush. Non-freshman rush in Fall 2013 will continue as is tradition. The Beta Alpha Chapter of Sigma Nu was founded in 1889 and was re-colonized at Yale in 1986 by Jack Callaway, Pete Pace, and Ben Hinks.